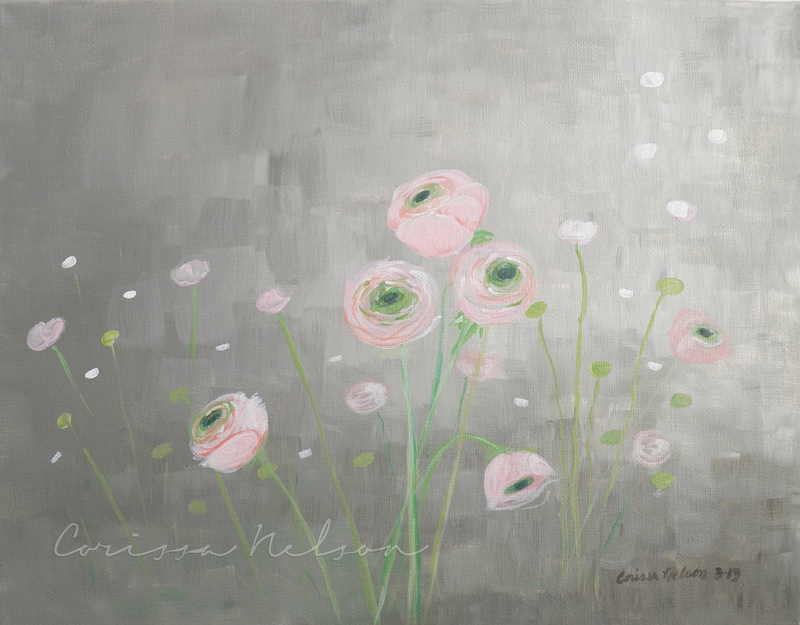 This garden painting has soft pinks, minty green, and a misty gray morning. 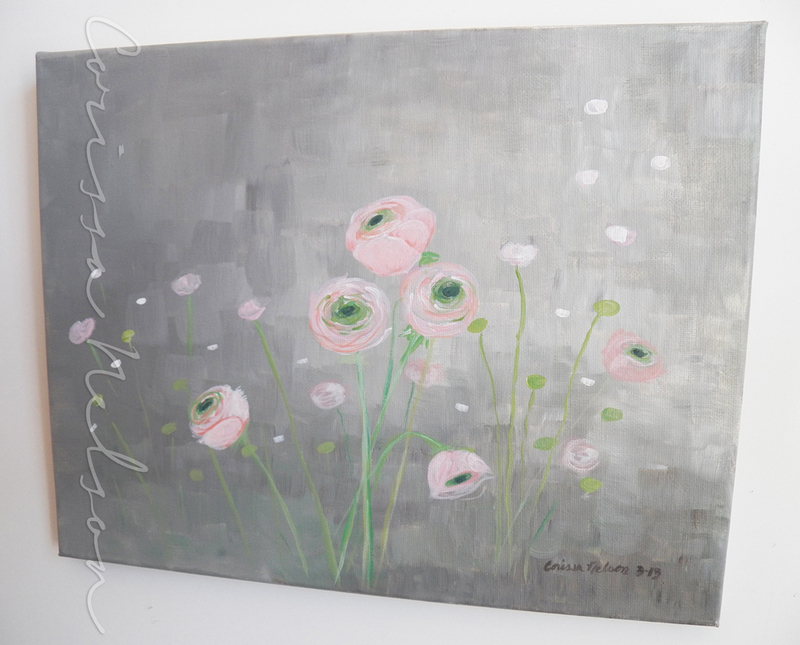 Ranunculus flowers have a beautiful shabby chic style and look quite a bit like roses and peonies. Very romantic. The painting is on 11"x14" prestretched canvas, ready to hang. Colors can be slightly different than on the screen. The gray is a warm gray and the greens are minty. The pinks tones are soft baby pink and coral. Buy it here. Are you planning your garden? Please share your favorite garden flowers in the comments.